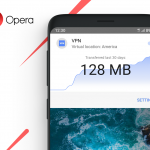 After our initial beta release of the new Opera for Android a couple of weeks ago, we’ve gotten a lot of excellent feedback. That’s why we’re happy to release an upgrade that fixes many of the reported issues, and brings a number of new features as well — note that this will be a gradual rollout, so you might not get it right away. The first thing you’ll notice is that a brand new Discover experience is now available for all regions. You can subscribe to your favorite news channels, and in the Settings’ “News” section, you can configure things further to your liking, including disabling the news feature completely. Note that the Twitter login mentioned earlier is only available in selected regions at this point. 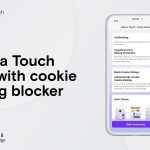 Now that we’re looking at Settings, you’ll notice that things have been grouped together in sections: Browser, News, Content, Privacy, Advanced and Help. We hope this will make it easier to find what you’re after. One particular change worth noting in the Browser section: there is a “Full Screen” option to hide the bottom navigation bar when panning down on a page. Help us test it, and file a bug if you bump into issues! there is now a tablet mode, which is activated when you install the app on a tablet. the three-dot menu has become more compact with an “Add to” sub-menu, and it even has a forward button! the reading list is now renamed “offline pages”. the red search box area on the front page is smaller, leaving more space for your Speed Dials. Speed Dial sync is back!